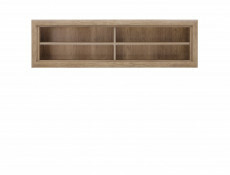 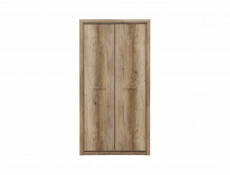 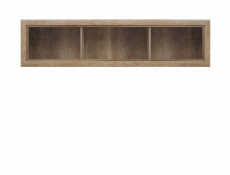 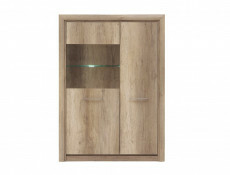 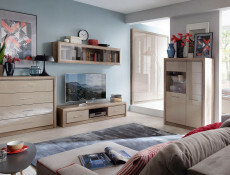 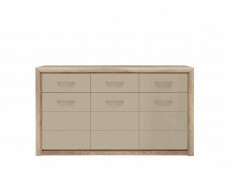 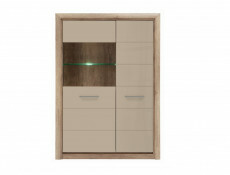 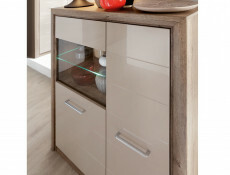 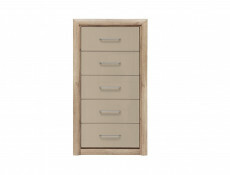 KOEN 2 modern living furniture range offers a Wide Display cabinet with 1 solid door and 1 partially glazed door. 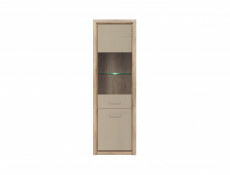 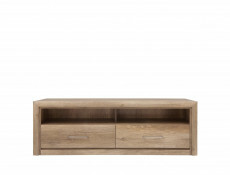 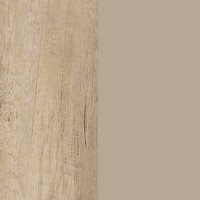 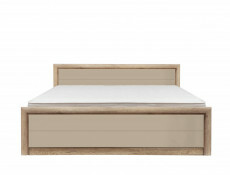 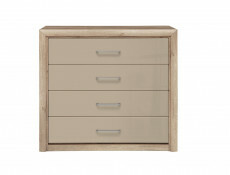 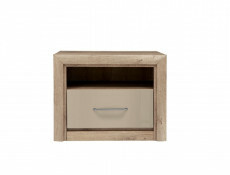 Available in Oak Monument body with Sandy Beige Gloss MDF fronts or in a single colour option of Oak Monument. 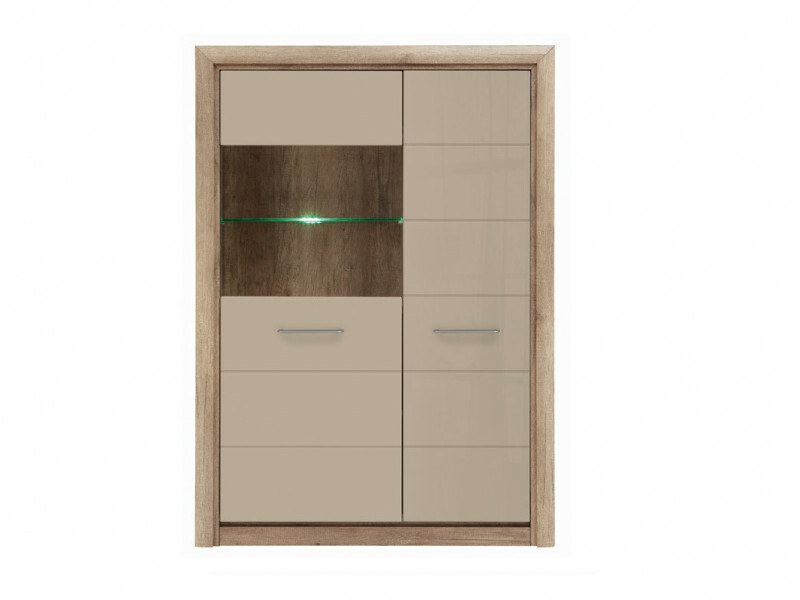 - This display cabinet unit is made up of an open compartment behind partially glazed left door made of safe tempered glass with solid door on the right hand side with shelving behind the door. 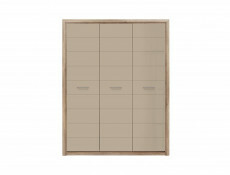 Size: 98.5 cm (W); 138 cm (H); 40 cm (D).